Having movie date nights or just a family movie night is always fun because most of the time it is to watch the new movies that have just come out. This has been going on for years. Everyone loves watching movies and a good majority of people love watching movies rather than reading the books. There are classics and there are sequels of movies. Some movies are re-made to be better and others just aren’t as good as the original. There have been many versions and movies for ‘Spider-Man’, and one of the newest ‘Spider-Man’ movies that have come out is Spider-Man Homecoming. All ‘Spider-Man’ related movies usually have the same characters and background story. This is a review on how well I liked it but also why in my opinion that The Amazing Spider-Man is a tad better. The first ‘Spider-Man’ movie was a classic and will be very much remembered by many, but as the years went by, an even better version came out called The Amazing Spider-Man. That was a major hit. It was such a hit that there was a sequel made for it. Many heartbreaks occurred in the movie and the cast and scenery were very different from the first and upcoming movies to come. I really liked the cast and how the director and team portrayed the infamous ‘Spider-Man’ story. It was and still is one of my top favorite movies. 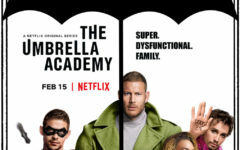 There were many different changes and alterations to the new movie from the romantic relationship and to the character portraying the villain. Just a little recently, another ‘Spider-Man’ came out and was even involved with the other Marvel movie superheroes like “The Justice League.” The scenery, characters, and backstory is a little bit more different than the other ‘Spider-Man’ movies that came out. 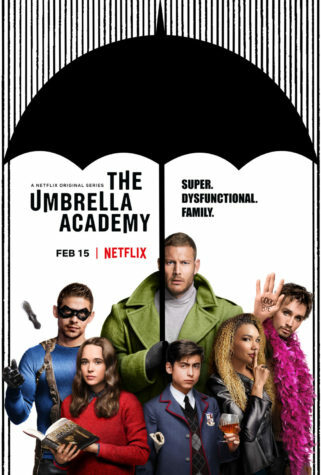 This movie was more on the humorous side like when Peter’s friend found out he was Spider-Man or when he fought the villains for the first time during the bank robbery whereas the other movies were a little more dramatic and serious. People went crazy for this new movie starring Tom Holland and Zendaya. Just like The Amazing Spider-Man, a sequel for Spider-Man Homecoming will be coming out really soon. I liked both versions of the movies but because I like action a bit more than comedy movies, I liked The Amazing Spider-Man better even though they were both very good movies individually. Not only is a sequel coming out for Spider-Man Homecoming, but another version of ‘Spider-Man’ will be coming out soon and this time it is an animation. In my opinion, I feel like all the movies were good but as they create more and more different kinds of ‘Spider-Man’ movies, they change the originality of it a bit more each time. Overall, I still think The Amazing Spider-Man and The Amazing Spider-Man 2 were amazing but Spider-Man Homecoming comes a close second…or third of my favorite ‘Spider-Man’ movies. 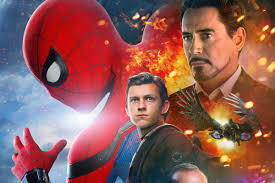 If you are considering on watching a movie you have not watched yet or just want to re-watch something, I recommend watching The Amazing Spider-Man and the sequel for a more serious and action pact movie, or Spider-Man Homecoming if you’re not the biggest fan of action and more into the comedic side.